*Düden waterfall Antalya's unique natural wonder, located on the Duden River, 13 km north of the city center, 20 meters hight.it is the symbol of Antalya.just behind of düden waterfall a natural cave exists, you can visit and see cascades. 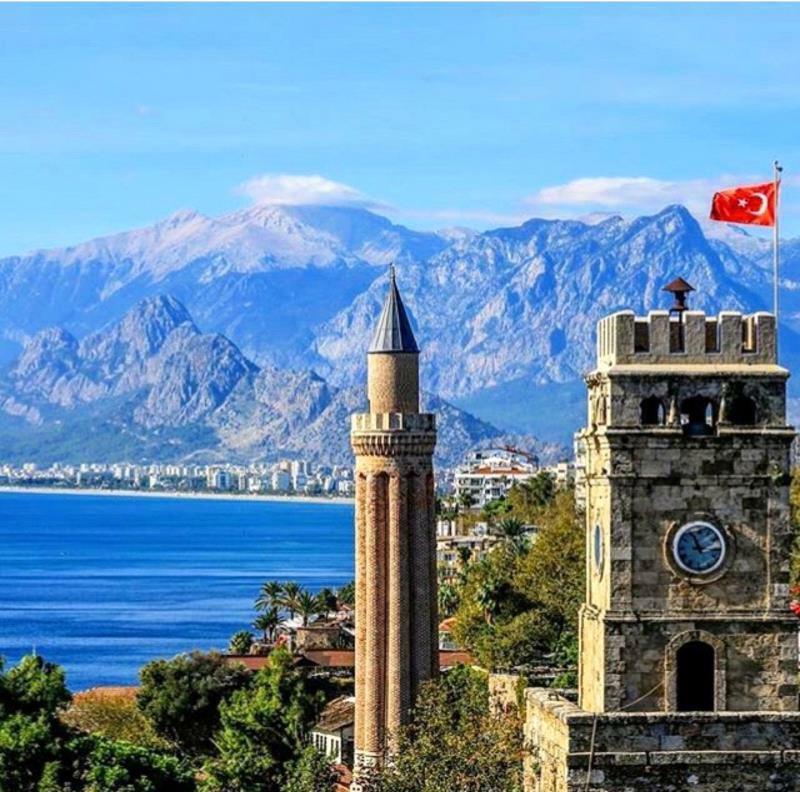 *Antalya boat tour; takes about one hour, starting from Antalya old harbor taking you Karpuzkaldıran waterfall is known as 'lower Duden' falling from about 40 meters into the Mediterranian sea. It is looked so impressive among water clouds the falling waters like a great painting from a boat out at sea. you will be back seeing Antalya old city’ coasts from the boat. *Kaleiçi; Where you can see Hadrianus gate, the Clock Tower, Fluted Minaret, and the ancient harbor enjoy narrow street of the old city, you are able to do shopping in your free time about one and half hour.